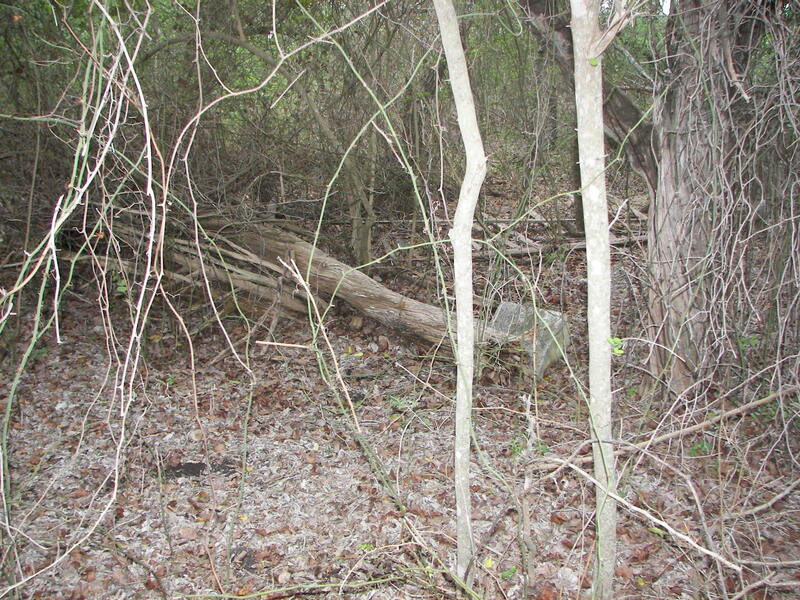 In 2007, HCHC cemetery chair Jim Cullen again located the site, on property owned at the time by Maryline Jonas, and secured the landowner’s permission to clean up the immediate vicinity around the site of the lone remaining tombstone. That task was accomplished in the spring of 2007. The sole stone at the site had been knocked over and covered by a fallen tree. 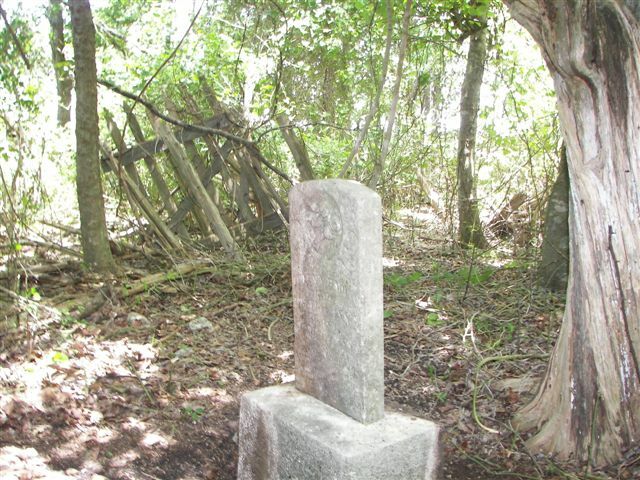 The tree was removed and the stone re-erected, with undergrowth and briars cut away from approximately a 10’ radius of the burial site. 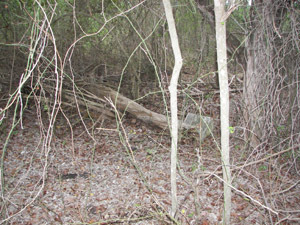 The rotting remains of a one-time picket fence, described by Kerbow and Hearns in their book, was still visible in 2007, though additional clearing would be required to uncover it. No additional evidence of additional burial sites was noted.